WeatherMaster® Nailable roofing underlayment is a granular surface non-peel-and-stick, highly versatile glass-fiber-reinforced sheet sandwiched between two layers of superior-quality bitumen to seal against nail penetration sites. WeatherMaster® Nailable roof underlayment is designed to be nailed to roof decking, rather than relying on peel-and-stick adhesive. 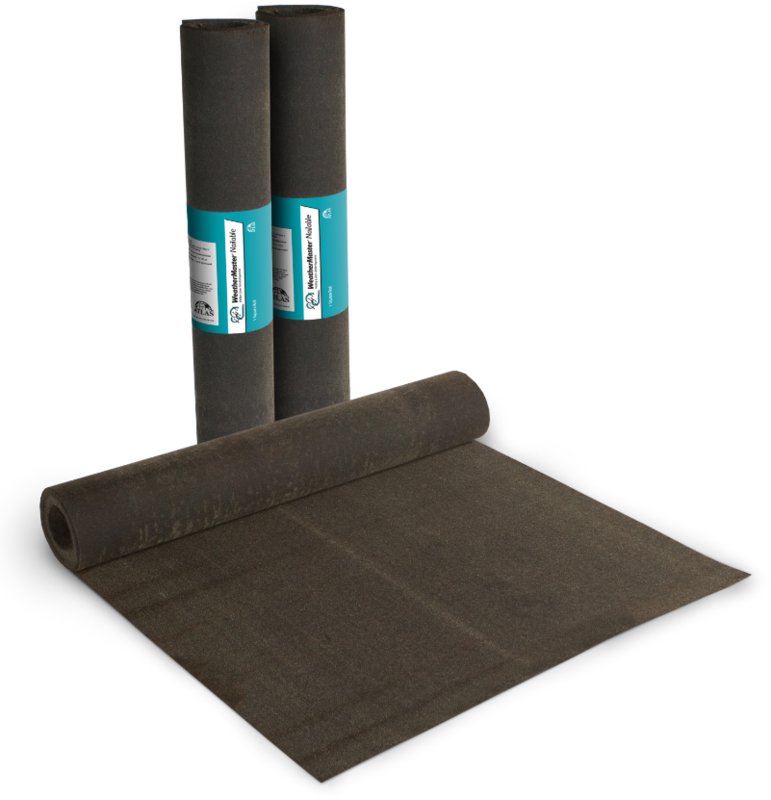 The SBS-modified bitumen that sandwiches the glass-fiber-reinforced underlayment creates a watertight seal around nails. WeatherMaster® Nailable is versatile enough to be used under asphalt shingles, shake shingles, all types of tile and metal roofing applications. WeatherMaster® Nailable can be used under any type of roofing material, providing your clients with the protection and strength they are looking for in a long-lasting roof installation. Learn and observe safe roofing practices according to OSHA and local building code requirements. Always use caution when walking on sloped roof decks and WeatherMaster® Nailable underlayment. Do not walk on unsecured WeatherMaster® Nailable or any other loose material lying on sloped roof decks. Dust, dew, water and debris create unsafe conditions on the roof. The presence of any foreign matter may drastically change the coefficient of friction (traction) on WeatherMaster® Nailable or any other material on a sloped roof deck. Failure to always use proper safety equipment and footwear can result in serious injury or even death. WeatherMaster® Nailable underlayment shall be applied to dry surfaces during fair, dry weather. Before getting started, be sure the roof deck is free from dust, dirt, loose nails, and any other protrusions. 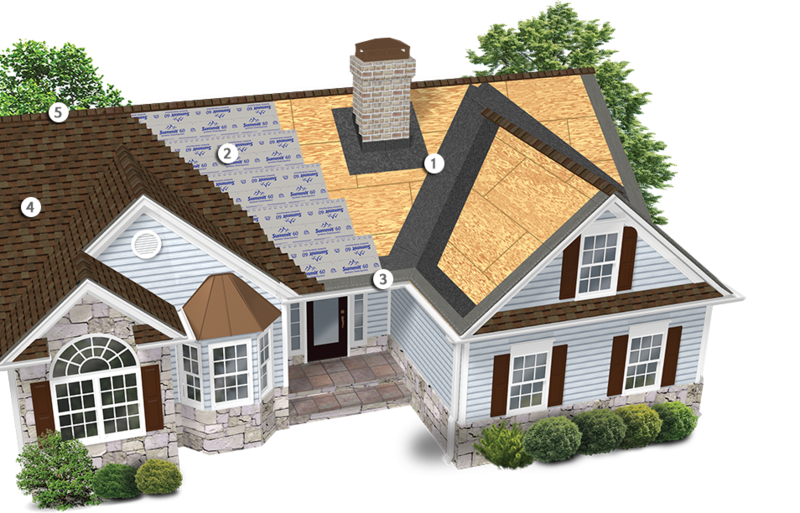 Remove all shingles, roofing felt, and nails from deck of existing roofs. For valley and ridges, horizontal overlaps must be at least 6” in valleys. For ease of application, cut WeatherMaster® Nailable into manageable lengths prior to use. 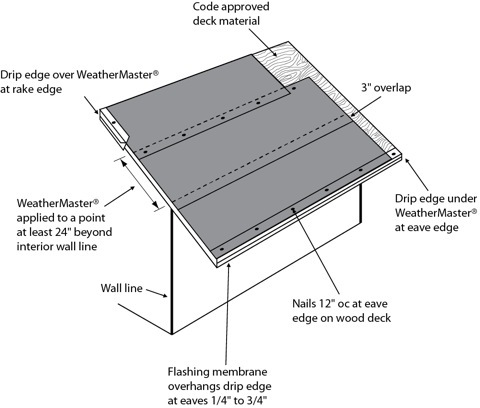 Follow standard roofing practices when installing WeatherMaster® Nailable. Install WeatherMaster® Nailable in strict compliance with applicable building codes. Keep WeatherMaster® Nailable rolls clean and free from moisture prior to installation. and adequate precautions to prevent accidents.